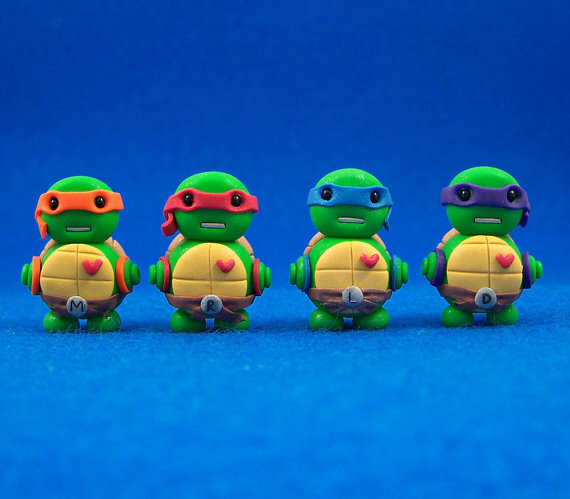 This shop has tons of cartoon and pop-culture characters (The Katy Perry one is especially hilarious) all recreated as tiny, one-inch-high robots. They average a little over $20 each, which could be seriously detrimental to my wallet. 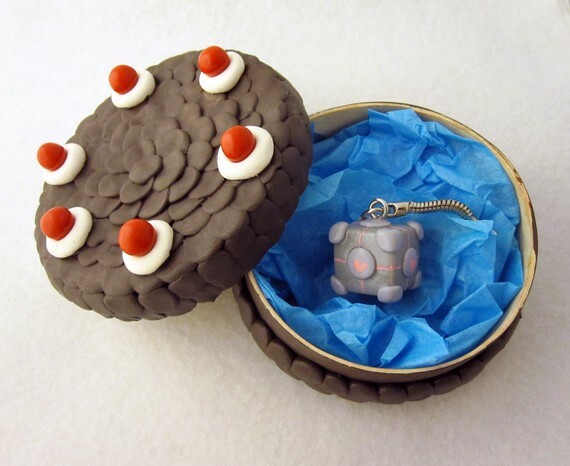 And believe me, I see a LOT of mini-cake charms. 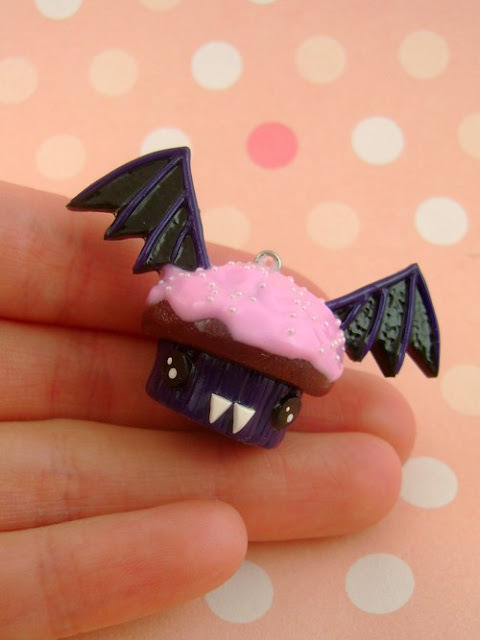 Make it a vampire cupcake! She makes every kind of animal pairing imaginable, from corgis to bumblebees to sharks, and they are all SO STINKING CUTE. Expensive, but cute! And who needs the cake anyway, right? Right? Can you believe that mask is sculpted clay? 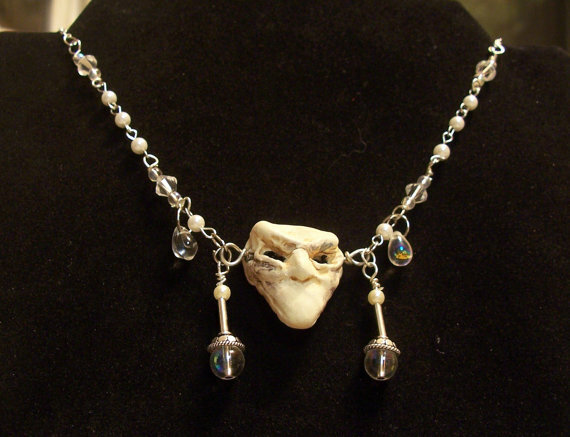 Those iridescent baubles really seal the deal, too; I can't think of a single way to make this necklace fit the masquerade scene more perfectly. And only $20?! If this thing isn't gone in two seconds, then I don't even KNOW you people anymore. 'Cuz they are FREAKING AWESOME, that's why. Liz will be accepting more orders starting tomorrow, so prime your engines, shoppers: these things keep selling out! Well, that's my Clay Day round-up, peeps! As always, share your links (embedded, if you please!) to anything I missed in the comments! Oh my goodness! I've never wanted pierced ears until JUST now. 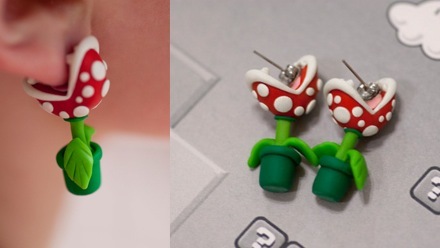 Those pirahna plant earrings are awesome. I've never seen anything like them (then again, my ears aren't pierced so I don't spend a whole great deal of time looking at earrings). Love. 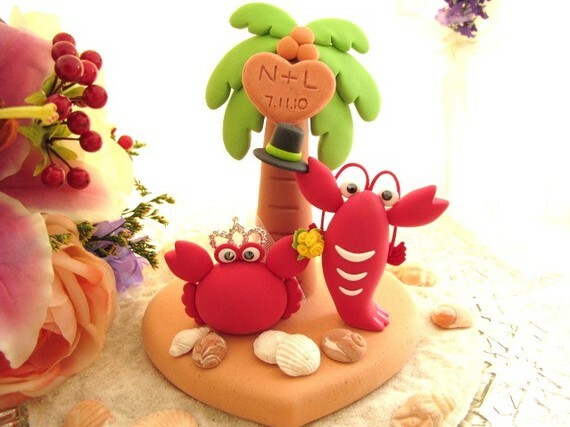 The crab and lobster cake topper has me singing the Smothers Brothers song about Herman and Sally ("Crabs walk sideways, and lobsters walk straight, and we won't let you take her for your mate!") They would if that was on the wedding cake! I must have that Count Chocula Ring. I don't know why, but it must be mine. Either that or the Lucky Charms one. Say yes to Pirhana Plant Earrings! Also, I like you, Jen. Today the phrases "Smile Police Marshwiggle" and "Urine is urine" have been on my mind all day because of the fun place you have created at Cake Wrecks. Thank you so much. Did you see thebots flickr page? The doozer bot, the stay puff bot, the bowzer bot. So many reasons to squeeeee! KERMIT BOT!!!! I just died. Thank you Jen, once again, cuteness has struck. Hope that works! 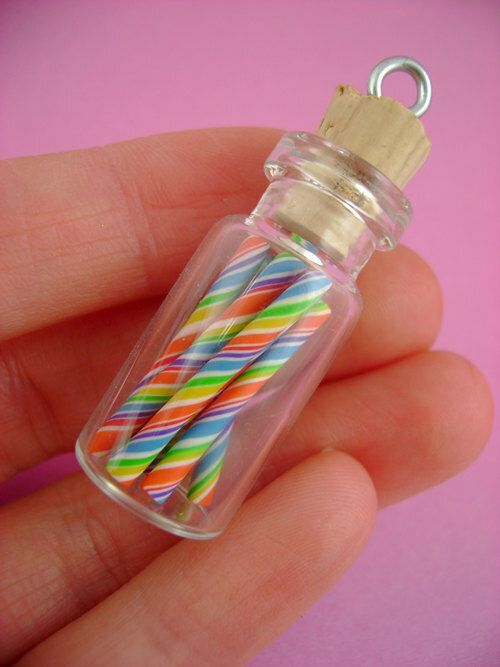 Alright, so these are mainly stitch markers, but I admit to coveting them for some years now. 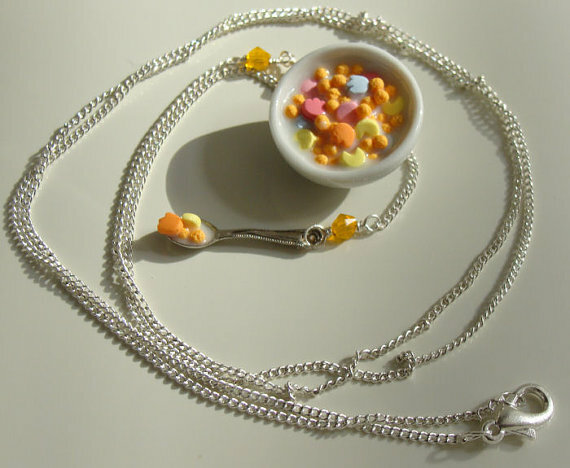 WANT WANT WANT that Pacman cereal necklace!!! And it's not clay, but have you seen the MST3K necklace with the photo window??? This is so bad. I love working with clay. Now I will have an excuse to spend way too much time finding cute things to make. I am far too excited. M.U.S.T. FIGHT THE URGE...we just got our tax return and I'm fighting the urge for an Etsy buying spree. I must be good...already bought a camera and a computer today. 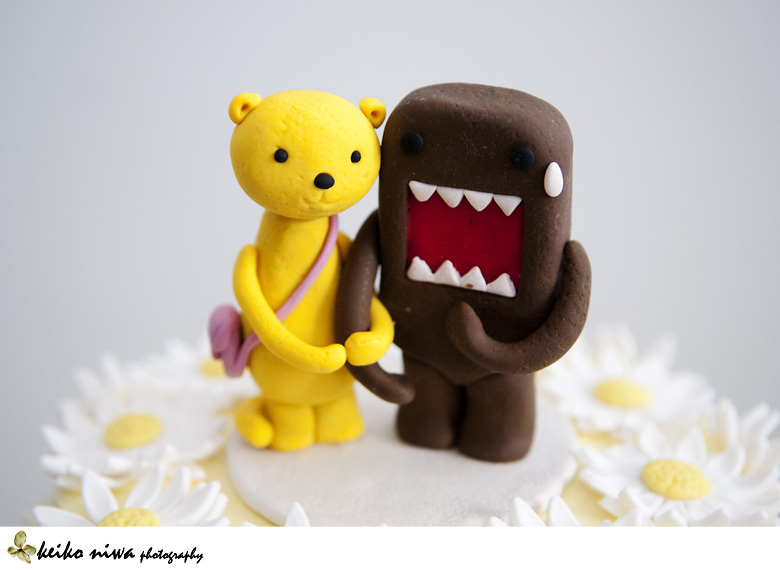 The cake toppers are also especially adorable, and mean I now have to plug Keren Smith's shop, "Mud Cards" on Etsy, she made me a custom Domo-Kun & Tashanna topper for my wedding several years ago. You can see it in action here. I surprised my husband (huge Domo fan) with it and he just about died. Saw this and thought of you! and the food jewellery! i love the little cereals, pop-tarts, etc. so adorable. the bots are so cute too. god, if i were rich i'd just spend all day on etsy buying stuff. Got my Picobaby robot. I love it and have friends comment on it too. Thanks for the link to their Etsy store. I keep checking back for new ones and putting them in my favorites. This is such a cute Wookie necklace! There is a matching earring set and she (he?) does other Star Wars pieces as well as Nintendo, food, monsters, etc. I love polymer clay things! 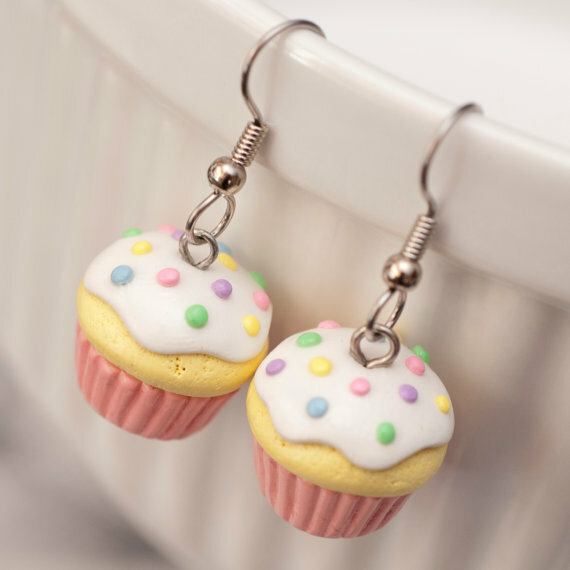 She has some amazing polymer clay creations on there. She has an etsy site as well, but I have not seen any of her clay snails, which I adore, for sale. My favorite snail is Adorable snail. I also like her mini veges Too cute to eat veges. I wish she sold some of her clay creations. Those are all very, very cute! There is a polymer clay artist at our Rennaissance Festival that does gorgeous work. They happened to have a black cat with a purple bow that I bought--matches my real life black cat who always wears a purple collar! Love love LOVE! This is one of my favorite sites. AUGH! Miniatures! Jen, you have found my kryptonite. I want them ALL. Those earrings are hilarious. 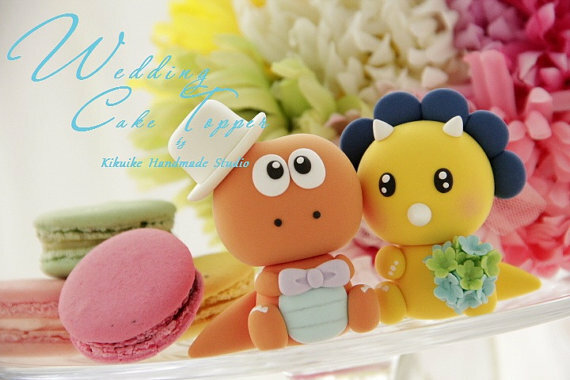 Oh my god I just saw a chain chomp wedding cake topper. I need to take some time to process this. Thank you for linking to that Etsy shop. 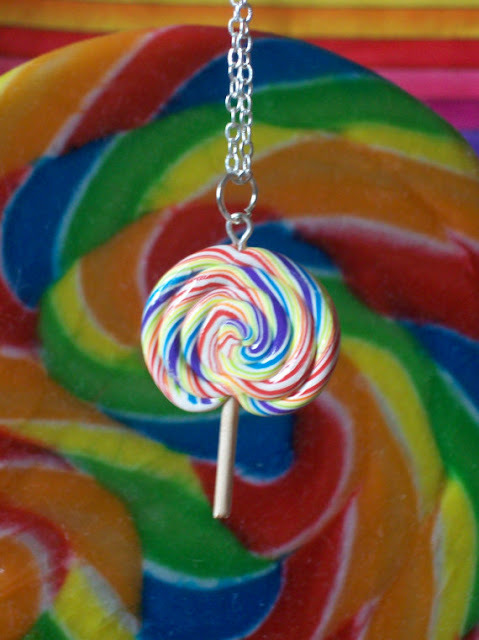 But yes, polymer clay is amazing. Cell phone cameras are not. And if you haven't seen the amazing artwork of ... pixiwillow's fairies and animals, you should. 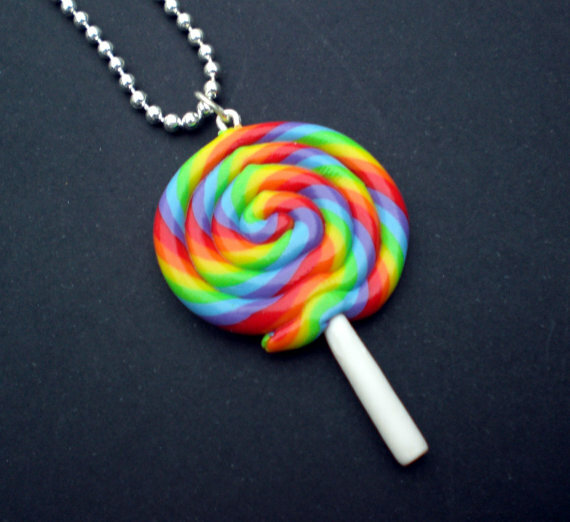 Stunning lifelike polymer clay. Not to pimp my own [old] stuff, but you can check it out here and here if you'd like. If you are into dragons or other fantastical creatures, the little figures at this etsy shop are just ADORABLE!! Haven't gotten any yet, but this shop will be getting some of my hard-earned cash eventually. Just not sure how to pick just one!